International gold buyer such as our company is flexible, smart and knowledgeable in all matters relating to gold and gold containing materials, including scrap gold and computer scrap and other peculiar materials. In general, we are buying following precious metals: gold, silver, platinum, rhodium and palladium, including all materials, such as ore, scrap metal, tailings, soil containing gold, silver, platinum, rhodium or palladium. Group member companeis are established in United Kingdom, Italy, Croatia, Slovenia, Hungary, Dubai and Tanzania. All specified locations may receive gold and gold may be paid. In each of countries, either our company, or our branch or the group member is fully licensed when necessary for gold trade, gold dealing and gold refining business. We may process, refine and pay currently maximally 100 kg per day, even for that quantity, previous arrangement and planning with the gold suppliers must be met. If gold is located in Europe, we may purchase gold at any location, provided a potential supplier has sent to us necessary due diligence information and has been approved as our gold supplier. If gold is located in other countries, exceptionally we may make appointments and purchase on place, however, this is rarely to happen especially if you are our first time gold supplier. Don't count on that. We purchase gold from Africa by using letter of credit, which means, you have to be skilled company to provide the required due diligence and prepare the insured shipment of gold with delivery to Europe or Dubai. Do not send us your "FCO", we don't work that way, neither we need it. You have to submit to our terms and conditions just like any other international gold refinery. Prior to even making an appointment, you as potential gold supplier or gold seller, will be required to provide due diligence. The following due diligence must be provided from gold sellers. The list is not the complete list and the full due diligence depends of the business and situation. For private and individual sellers, we need a copy of ID or passport and one utility bill of the individual as proof of address. For companies, selling gold to us, we need company certificate. We need Articles of Incorporation or current, official and verified list of owners and directors. For each owner and director of the company, we need ID documents. If you have a lawyer, provide us with his contact information. Valid export license if required by your country. Please provide your full contact information. Send us your phone, e-mail, address and other contact information. We will import only insured shipments. Make sure to send us the name of the insurance company and contact information. 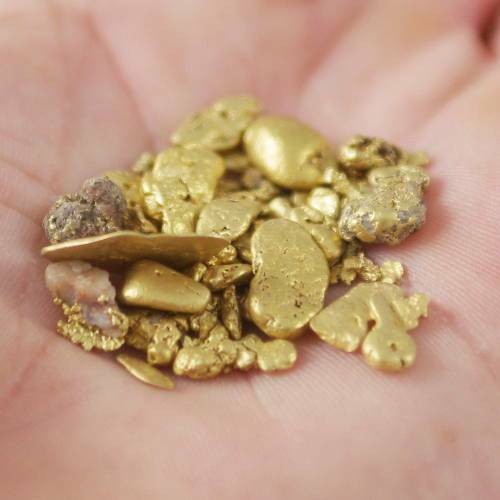 If you are not a gold miner, you will have to provide documents of the origin of the gold. You may ask your lawyer to help you. If you sell gold bullion, hallmarked by one of the LBMA members, please tell us the age of the gold bullion and the name of the LBMA member company. Full document is required with specification of number of gold bars, its hallmarks, age and name of the LBMA company. Full banking information is required. Send us your full banking coordinates. For Stand By Letter of Credit or Letter of Credit, we need the draft, prepared by your bank. We may assist in preparing the draft for Stand By Letter of Credit. For bank to bank transactions, we still need full due diligence. Full due diligence is required, also for bank to bank transactions. If you inquire as intermediary, you may be entitled to commission. For contract for commissions, please send us your necessary due diligence. Copy of passport or ID and recent utility bill with all contact information is required. If you are mandate, you have to show us the mandate document, notarized or verified in other manner. Mandates have to represent them correctly and in legal manner. Do not represent yourself as seller's mandate, without having proper mandate document. Failure to represent yourself properly and in legal manner may constitute financial fraud punishable by fines and jail in many countries. We do report any attempts of fraud and scam to authorities. Do not represent yourself false in any manner, as we persecute and follow such cases as financial fraud. Your role may be consultant, intermediary, gold buyer or gold seller, whatever it is, represent yourself clearly from the beginning and be sure we will ask you for documents and due diligence, as required by money laundering law in European Union. If you are intermediary, you have to clearly open your cards and tell us. Professional intermediaries have their contracts in place, know their business and BRING BUYER AND SELLER TOGETHER. Amateur and wannabe intermediaries, FEAR not to get their commission, DO NOT HAVE the contract in place and BLOCK THE ACTUAL BUSINESS. In general, non-professional intermediaries in gold trade business keep the business secret and such deals fail most of the time.